On arrival , you will be met and transfer to visit the Stone Forest, one of China's most remarkable natural phenomena. Towering peaks of bizarre shaped limestone, some as high as a six-story building, cover a sprawling area of over 26,000 hectares. Shilin was created by the erosive effect of water when the area was submerged some 270 million years ago.. Morning transfer to airport for flight to Dali. Upon arrival, be met by local guide and driver. Take cable car up the Cangshan Mountain for a stunning view over Erhai Lake. Also visit the Three Pagodas. Afternoon visit Xizhou Village, with local Bai's bazaar where you can enjoy local song and dance performance. 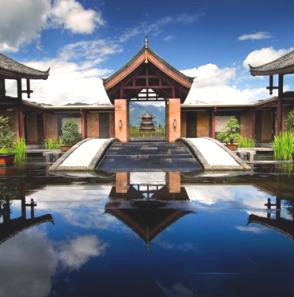 Morning have some free time in Dali old town.Afternoon transfer to Lijiang to check in hotel, Free time on your own. 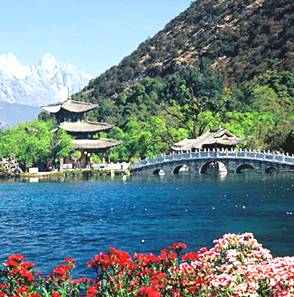 Morning tour to Lijiang Old Town-Li jinag River, then you will visit Jade Dragon Mountain, Yunshan ping and White River. 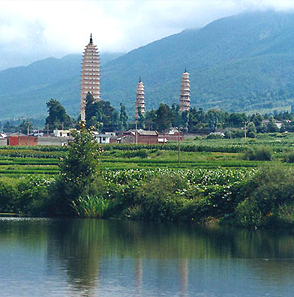 You will take flight to Kunming, on arrival, you will Yuantong Temple and Green Lake Park. The rest of day is free for leisure. Free day on your own, Then you will be transfer to airport for back, service end.